Nintendo of America has revealed what, exactly, Gold and Platinum members will receive for a year's worth of game buying and survey taking. Last year, we had soundtracks and posters to choose from. Here's that post. This year? Games. 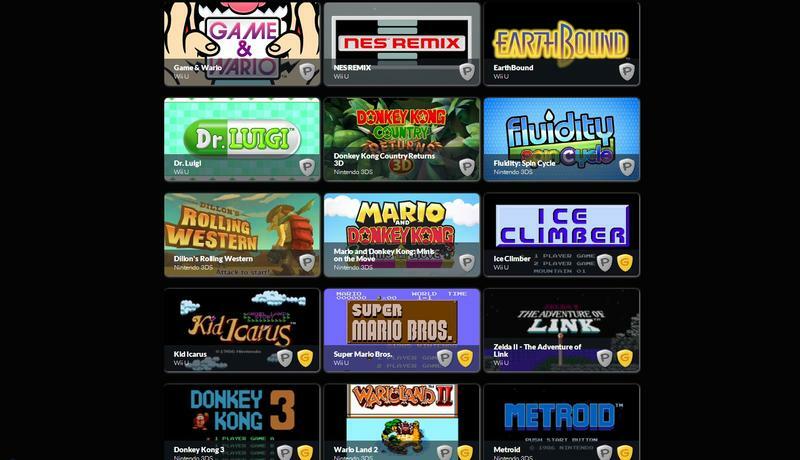 All of them are seen in the image above, except for Super Mario Land 2: 6 Golden Coins for the 3DS. As most gamers and Club Nintendo members are already stating, this is kind of a joke. It costs most gamers around $400-500 to buy enough games and consoles to hit Platinum. "But Joey," you're certainly seething. "How can you possibly complain about free games!?" My complaint comes two-fold, invisible internet friend and keyboard warrior. First, Nintendo established the physical reward precedent by delivering physical rewards in the past. I expect physical rewards because they've taught me to expect them. Soundtracks, high-quality posters, statues, whatever. The other part, though, is that this problem is relegated to Nintendo of America only. Europe and Japan? One NeoGAF user snapped some shots for consideration. Take a look. While Nintendo of America customers gets digital games (likely some of the same ones they used to earn points to achieve Gold and Platinum status), European and Japanese gamers are privy to regular rewards such as Pikmin keychains, Yoshi backpacks, Mario soundtracks, a Super Mario Decoration Tape Set (whatever that is, Japan), point cards, carrying cases and an actual old Game & Watch game. These regions have not, to my knowledge, had their Gold and Platinum rewards revealed this year. I assume they'll be more than digital games, but I'm ready to jam my foot in my mouth if I'm wrong. I've taken the liberty of drafting a letter for you to send Nintendo of America. I feel the effort I put into it reflects the effort they put into these rewards. Am I going to take surveys next year to reach Platinum? Probably not. It's officially a complete waste of time.